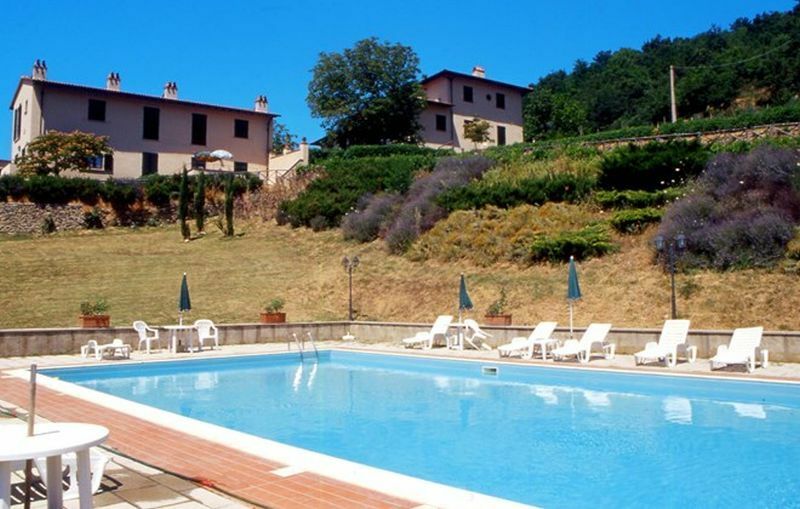 The residence is situated at Dicomano, 35 Kms North-east of Florence at the very heart of the « chianti Rufina » on the border between the Val de Sieve and the Mugello. This is in fact a former farmhouse, dating back to the XVth century, made up of 3 buildings within a 60-hectare setting of greenery, with a view over the mountains of the Mugello. All the apartments, from the 2-room apartment for 2 persons to the 3-room apartment for 6 persons are fully equipped in the purest Tuscan style, with satellite TV, telephone. All the apartments have either a terrace or a private garden. - Small pets are allowed against extra fee, tattoo and up to date vaccination certificate. Dogs must be leashed within the residence. - Shops at Dicomano (a 5-minute drive). The very name ‘Tuscany’ is enough to set the heart racing. The syllables themselves, so proud yet sweet sounding, of this significant word, conjure up memories of such noble and delicate landscapes and of so many wonderful hours spent in the most beautiful places in the world.